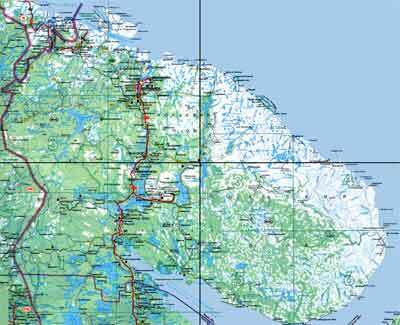 Detailed motoring road map of Kola Peninsula. This motoring road map is quartered. You can click in the quarters to get the detailed map on your screen. The sizes of the quarters is between 30 and 100 Kb.